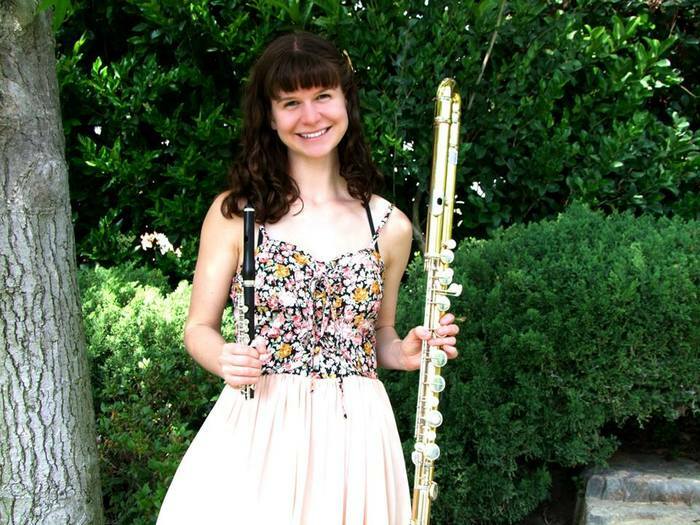 Christie Glaser is the Flute Coach for Elemental Band as well as the Flute Teaching Artist for the Bergmann Project. She graduated from the Bob Cole Conservatory of Music at Calstate Long Beach in 2014 with her Masters in Flute Performance where she studied with John Barcellona, Rena Urso, and Ben Smolen. After graduating, Ms. Glaser has assisted in the music programs at John Adams Middle School, Lincoln Middle School, the Santa Monica High School Viking Marching Band, and the SMMUSD elementary schools. She began her position as an Elementary Dream Winds Coach in 2016 and will also take on a teaching position with the Children’s Music Workshop this year. Along with her teaching positions and maintaining her private teaching studio, she is an active musician in Los Angeles playing flute and piccolo with the American Youth Symphony, Santa Monica Symphony, SMC Symphony, Bellflower Symphony, Peninsula Symphony, and others. She has performed in several masterclasses with renown flutists such as Carol Wincenc, Sarah Jackson, Heather Clark, Jasmine Choi, and Jim Walker. Christie is a member of the National Association For Music Education, Music Teacher’s Association of California- Santa Monica Bay Branch, National Flute Association, and the Los Angeles Flute Guild.